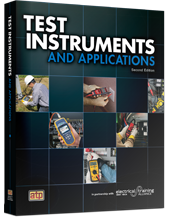 Test Instruments and Applications provides an overview of the safe, efficient, and practical use of common electrical test instruments. This textbook includes measurement procedures used when installing, maintaining, and troubleshooting new and existing electrical equipment. Common applications and activities are included for over 80 different types of test instruments.